Redstage managed services promise unparalleled response time, productive performance, and most importantly, knowledgeable staff to help you make the right decisions. Redstage is a leading B2B ecommerce agency, which comes with a strong track-record of providing outstanding ecommerce support. We offer a wide selection of support services, ranging from maintenance and security to optimization and development — designed to suit your needs as your business grows. There’s two reasons clients choose Redstage support: Either their site faces time-sensitive challenges or they’re rapidly losing faith in their current team’s ability to get the job done. Don’t let your current ecommerce team hold you back. Strategize with your team of ecommerce design and development experts to enhance and refine your customer journey, locally or remote, anytime. Our global team of engineers has boots on the ground in just about any timezone. There’s two reason’s clients choose Redstage support: Either their site faces time-sensitive challenges or they’re rapidly losing faith in their current team’s ability to get the job done. Don’t let your current ecommerce team hold you back. Build your own team of ecommerce design and development experts to enhance and refine your customer journey, locally or remote, anytime. Our global team of engineers has boots on the ground in just about any timezone. Read about how Redstage helped Jura Coffee revamp their web presence and grow at an extraordinary rate. Protect your technology investment and grow your business with Redstage support. It’s time to team up with one of the most experienced and talented groups of ecommerce professionals on the planet. Need some help with your B2C sales channel? No problem. Our team’s industry leading experience in B2C channel creation and support will ensure success online. Any project, anytime, anywhere, the Redstage team is well-equipped to tackle any B2B challenge around-the-clock. Your business is always growing and e-commerce landscape is constantly changing. There’s always a way to make your business more efficient and agile to increase productivity at scale. Leave your legacy platforms behind, or bring them into the new age with higher efficiency and more appeal. Let’s create your beautiful, responsive, high-converting ecommerce site. For nearly a decade, Redstage has been providing Magento Support for clients all over the world. Having collaborated on more than 700 Magento sites, we’re the most qualified agency for your Magento needs. With the reliability and technical advantages of SaaS, clients seldom need this type of support, but if the need arises, we’re ready to go. Redstage is proud to be one of only 22 BigCommerce Elite Partners on Earth. As a Shopify Plus partner, Redstage can help you at any stage of your eCommerce endeavor, from custom design and development to complex integrations and strategy. Since 2008, Redstage has become a global leader in ecommerce design and development. 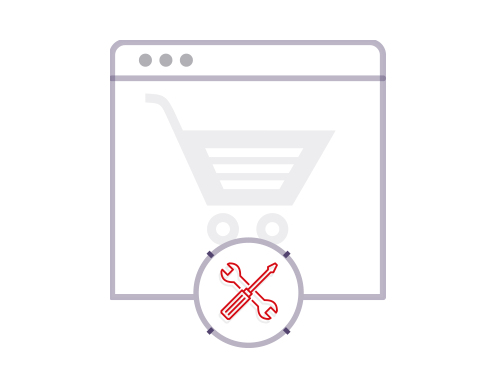 We have expert solution specialists trained and certified in Magento Enterprise, BigCommerce, and Shopify Plus who can handle any platform out there.